Free screening in celebration of National American Indian Heritage Month! "The tattered history of the Ojibway people is redeemed through the punk-rock humor of a pair of young native filmmakers." 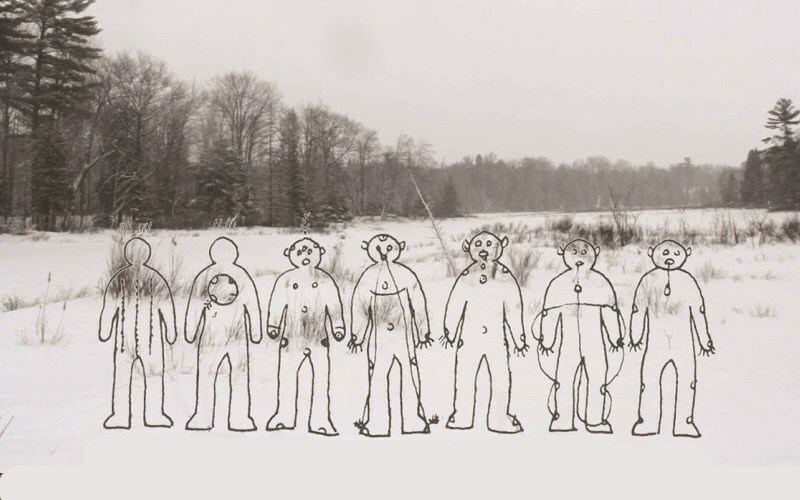 Adam Khalil and Zack Khalil's new film re-imagines an ancient Ojibway story, the Seven Fires Prophecy, which both predates and predicts the first contact with Europeans. A kaleidoscopic experience blending documentary, narrative and experimental forms, INAATE/SE/ transcends linear colonized history to explore how the prophecy resonates through generations in their indigenous community within Michigan's Upper Peninsula. With acute geographic specificity, and grand historical scope, the film fixes its lense between the sacred and the profane to pry open the construction of contemporary indigenous identity.